The DeKalb County School District (DCSD) is pleased to celebrate the success and promotion of a key central office staff member. Dr. Knox Phillips was promoted to Associate Superintendent in the Office of Accountability in January 2018 following unanimous approval from the DeKalb County Board of Education. In his new role, Phillips will continue his work of transforming test and performance data points into tangible results. In addition, schools will use new methodology to remain accountable to community stakeholders. By examining key data, Phillips can show school leaders how and where they can improve. Phillips said all strategic planning in education is rooted in data. The new division, under his helm, will allow more DCSD central office staff to develop new, informed strategies for teachers and administrators. Departments now under his purview include Strategic Planning, Research & Curriculum, Flexibility & Governance, Design & Innovations, Accreditation & Special Projects, and Student Advancement. The promotion coincides with Phillips’ five-year history of turning important data into student achievement at DCSD. Since his arrival in 2013, Phillips has created the district’s first data warehouse, earned the district more than $5 million in grants, introduced a new progress monitoring system, help to increase student performance, and served as a key leader in the effort for DCSD’s reaccreditation. Phillips also has experience inside the schoolhouse as well as in higher education. 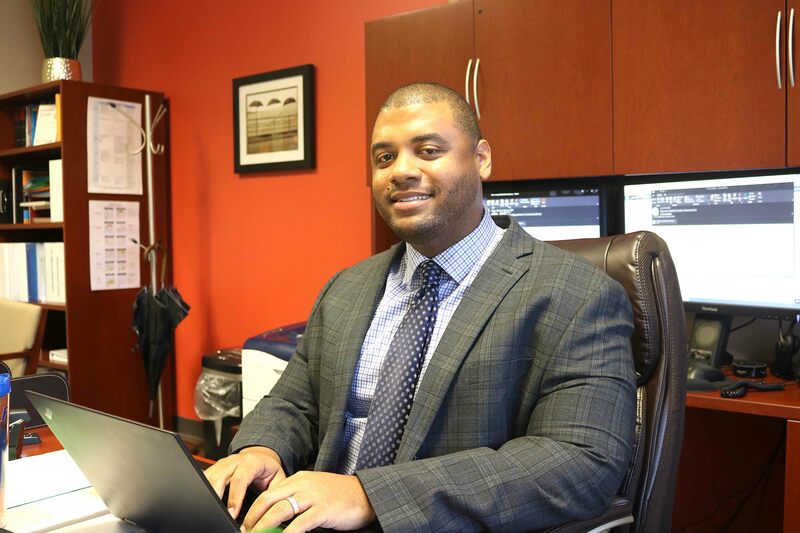 Before arriving at DCSD’s central office, he worked as an assistant principal at Sequoyah Middle School. Before that, he served the Board of Regents for the University System of Georgia, the University of Phoenix, Morehouse College and Miami Dade College in both teaching and administrative capacities. Dr. Phillips holds a bachelor’s degree in agriscience education and communication from the University of Florida, a master’s degree in environmental education from Nova Southeastern University where he also received an education specialist degree, and a doctorate in education from Northeastern University. Phillips credits DCSD for encouraging advancement and fostering professional growth. He said his new role allows him to rebrand the data-driven work in ways that allow schools to know they are supported. This includes supporting schools through continuous planning, evaluating performance year by year, and working directly with students and teachers, and reaching out to alumni to continue improvement. Phillips considers himself a lifetime educator. He says the work being down at DCSD’s central office is second to none in creating future leaders.